The tools that get the most use in my kitchen are the storage containers that I use for flour, sugar and other dry goods. No matter what I’m baking or what mixing method I’m using, those ingredients are the backbone of my kitchen. I often leave my dry goods containers on the countertop, where I can access them easily, but not all storage containers are presentation worthy. I appreciate a functional container, but it’s a plus in my book if they happen to look good, too. 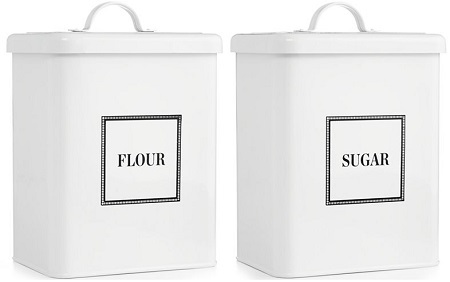 To help you upgrade your kitchen storage, I’m giving away a set of Martha Stewart’s Vintage-Inspired Flour & Sugar Containers to one lucky reader! The containers, which are available at Macy’s if you don’t win the giveaway, hold up to 16 cups of dry ingredients and are labeled with “Flour” and “Sugar,” though you could fill them with other scoopable ingredients. The glossy aluminum containers measure 4.75 x 6.5 x 8-inches. To enter the giveaway, leave a comment on this post and tell me what your favorite everyday baked good is, since that recipe is the one that will make you reach for the Â flour container the most often. Fudgy brownies? Banana bread? Shortbread cookies?Â Â The contest will run fromÂ now to Monday, May 2rd at 11:59 PM,Â so be sure to get your entries in before then. The winner will be chosen from all the entries at random, so everyone has an equal opportunity to win. Donâ€™t forget to leave your e-mail address on the comment form. It will not be made public, but this is how I will contact the winner. Good luck everyone! 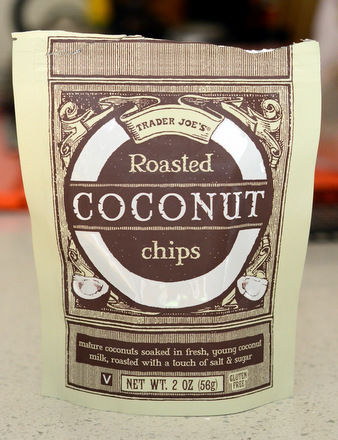 Previous PostPrevious What are Coconut Chips? Blueberry scones are my go to recipe on the weekend! I grate the butter using a cheese grater so it’s even quicker. 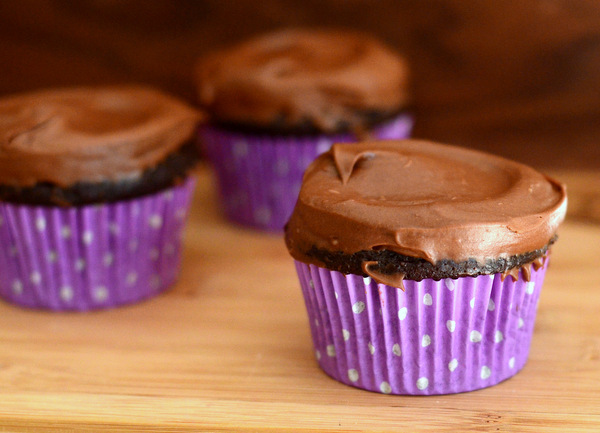 They go from pantry to ready to enjoy in under 30 minutes! Chocolate chip cookies my favorite, but probably make brownies the most! My favorite is Oatmeal Chocolate Chip Cookies. Would have to be brownies. Snickerdoodles! They go so quickly. I’m a sucker for fudgy brownies. muffins are my go to! easy fun and allegedly portion controlled!! Chocolate Chip Cookies are my very favorite. I also like Lemon Squares. I absolutely love kolaches. I make them all the time. They’re so light and airy and they can be made sweet or savory. I can’t resist any baked goods. but brownies are my absolute favorite. Of course, the original is delicious. Right now, I am crushing on caramel and sea salt brownies! I *DEFINITELY* love shortbread cookies!! So good! Banana Bread! I think I make more of that a year than anything else! Always have bananas ready to make a new batch plus more in the freezer when someone asks for some! So yummy! Molasses Crinkles. I love them!